Controversies, turmoil, humility and humour. Steinar Ellingsen looks back at the year in journalism. (This article originally appeared in upstart magazine, as part of a series of top ten lists from 2012. Follow the upstart link to access all the media). 8. Four Corners: The Comeback Kid? The ABC‘s investigation into Julia Gillard’s leadership coup in 2010 presented a detailed timeline of events that led to the fall of Kevin Rudd. 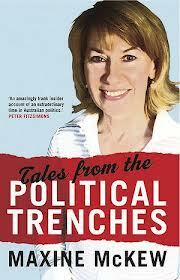 The topic never left the news agenda, even after Gillard’s re-election. It was becoming all too obvious that Kevin Rudd was not the ‘happy little Vegemite’ he claimed to be as the Foreign Minister of Australia. After months of widespread media speculation about another pending leadership battle, was perhaps this the report that finally set it in motion? The program can be viewed in its entirety on Four Corners’ web site. Below is a small excerpt for the purpose of this review, featuring Labor campaigner Bruce Hawker, Four Corners reporter Andrew Fowler, and KRudd starring in the role as the not-so-happy Vegemite). Did Sunday Telegraph journalist Jonathan Marshall deceive the organisers by not identifying himself as journalist when he bought a student-price ticket for the dinner? Should the Sydney University Liberal Club dinner be regarded a private or public event? Was the party under the Chatham House Rule? Did the organisers specifically ask journalists to identify themselves at the event or not? Was it appropriate to report on Alan Jones speech in the first place? And, in the end, if the circumstances were such that Marshall should not have reported from the event – were Jones’s comments about the PM of such a nature that the public interest in having them published would override any other obligations on the journalist’s behalf? Job cuts, broadsheets becoming tabloids, erecting digital paywalls, shutting down printing presses, outsourcing subbing duties, and more editorial changes. While, perhaps, not ‘a moment’ as such, newspapers have been in a constant state of turmoil throughout 2012. While the job losses alone are gravely concerning, the impact that the cuts could have on quality journalism is equally worrying. Despite the restructures in organisation and business models, circulation is declining for both Fairfax and News Ltd. In the case of the latter, online audiences have also waned since the introduction of the paywall in April. So far we have barely seen the start, and little of the effect, of the changes. So what will 2013 bring? Whether a real scandal or a media beat-up, chances are we are far from a conclusion of the inquiry into the PM’s past with law firm Slater and Gordon. There has been an abundance of reporting and speculation, and as with most such large scale investigations come unfortunate errors. Writing that the PM had set up a ‘trust fund’ rather than a ‘slush fund,’ did The Australian produce this year’s most unfortunate typo, or was it a potentially defamatory factual error? And, how significant is the distinction there, anyway? (It should be noted that also Barrie Cassidy got this confused on Insiders, without it causing much fuss at all). Satire can be a powerful and important tool in unraveling stereotypes in reportage and pre-scripted coverage of violence involving minority groups. That’s all that’s necessary to say about this – now watch the clip below. While we’re in the satirical corner… Rap news may be well left of centre and far away from the mainstream. But that’s exactly the point, too. We could not resist the temptation to include this commentary on mainstream media’s reporting on (and condemning of) Julian Assange and Wikileaks. Reinventing the news? More, please. and restore balance and peace in this far reach of the Galaxy? and are now being pursued by its sinister agents. Being a politician must be a tough job when you’re facing one of Australian journalism’s finest, unprepared. What was arguably Tony Abbott’s toughest week in the media in 2012 came to a head when he faced Walkley-winner Leigh Sales on 7.30 in late August. Abbott was on the programto discuss BHP’s announcement to put the Olympic Dam project on hold and brought his usual (and only) ammunition: ‘It’s the carbon tax’s fault.’ The 12-minute interview was a rollercoaster of sorts, as an emotional Sales tore strips off the leader of the opposition, who repeatedly failed to provide straight answers to her questions. Below is a small excerpt of the interview for the purpose of this review, but if you haven’t yet seen it in its entirety, make sure you do. The full list of upstart’s top ten can be found here. 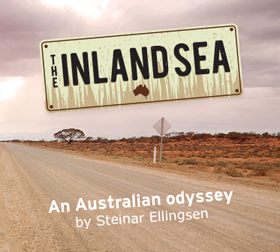 Steinar Ellingsen is a Norwegian journalist and photographer, and a Journalism lecturer at La Trobe University. He’s currently making a documentary webseries chronicling a ten-week odyssey in Australia, as part of a practice-based PhD at La Trobe University. You can follow him on Twitter: @SEllingsen.